Harmonica holders are devices that keep the harmonica in a fixed position without the need to hold the harp in your hands. This frees you up to play a different instrument – often a guitar or other stringed instrument, such as a ukulele or banjo – simultaneously. 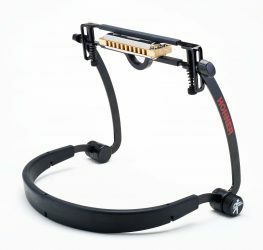 They usually feature a U-shaped metal band that fits over the shoulder attached to an adjustable metal upright that has in built slots for the harmonica. The majority of holders are set up to take standard 10 hole diatonic harps, as these are the most common types used in situations that require a holder. 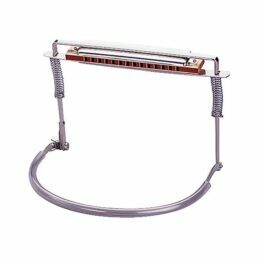 However, Hohner does produce one holder – the HH154 – that will accept 10, 12 and 14 hole harmonicas, thereby allowing players of longer harps to benefit from hands free harmonica playing. 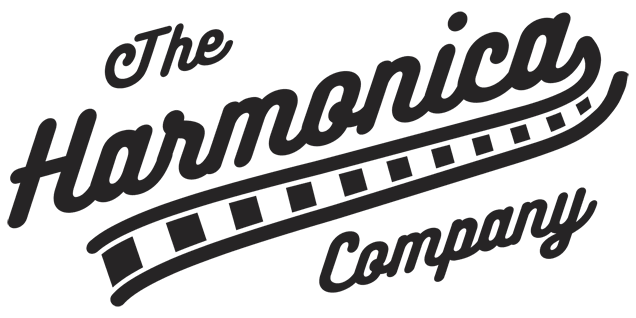 The Harmonica Company stocks the major brands of holder, including Lee Oskar, Hohner and K&M and can ship worldwide with fast delivery times.